Pumpkin beers are perhaps one of the most divisive styles I know, and for good reason. Too many take the “just add spice” approach, and are basically a light lager with an overdose of cinnamon and nutmeg. However, I know that there are good pumpkin beers out there, as evidenced by some reasonable success on last year’s pumpkin ale. Following a string of successes with recipes from Gordon Strong’s Modern Homebrew Recipes, I opted to give his pumpkin ale recipe a try (in very slightly modified form to adjust for ingredient availability). 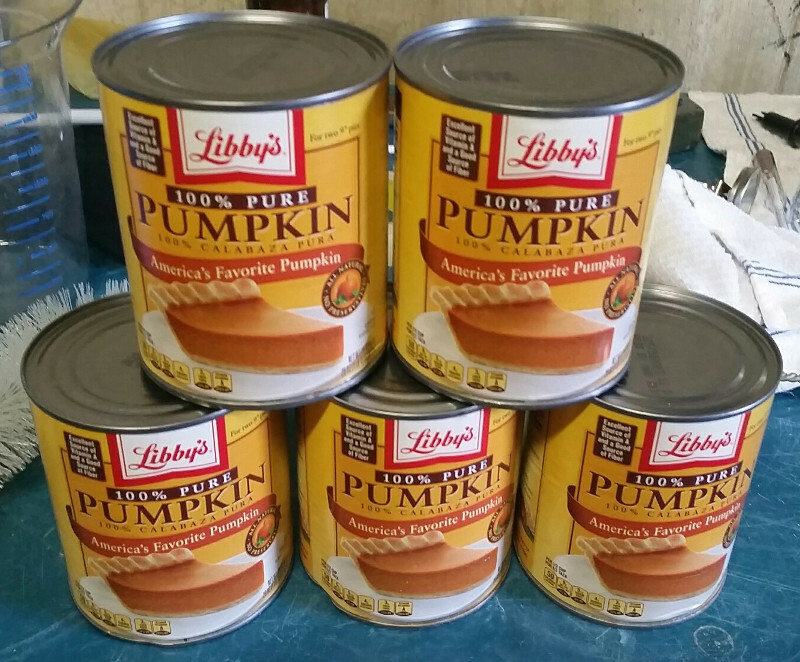 His recipe is intriguing for its sheer amount of pumpkin–9 pounds–as well as for its complex grain bill that I think will make the background beer more interesting in its own right. I mashed in the grains with 5.1 gallons of water at 168°. The mash stabilized at around 156°, and was down to 154° after 40 minutes. After 60 minutes, I added the pumpkin and 1 gallon of water at 180°. I vorlaufed after 15 minutes, drained the mash tun, and added 4.1 gallons of water at 185°. I let this sit for 10 minutes, vorlaufed, and drained the rest of the wort. I transferred the pumpkin over to the boil kettle, and let it steep while the wort came to a boil. In total, I collected 7.5 gallons of wort with a gravity of 1.050, which equates to 68% efficiency. I brought the wort to a boil, and at this point removed the pumpkin. I saved the pumpkin to recycle for a pumpkin soup. The wort boiled for 60 minutes total. I added the hops during the last 20 minutes, a Whirlfloc tablet during the last 10 minutes, and the spices at flameout. I let the spices sit in the hot wort for 10 minutes, before removing them and chilling the wort as usual. Once I had cooled the wort down around 80°, I transferred it to the fermenter and pitched the yeast. (The yeast had been cold-crashed, so I decanted most of the spent starter). Starting gravity was 1.064, a touch higher than initially predicted (1.060). The cinnamon is pretty prominent–I am a little worried that it might be too much so (I suspect the recipe’s 6 cinnamon sticks were smaller than the one’s I used! ), but maybe that worry will be unfounded. I started fermentation on October 3. The beer was happily krausened when I checked on it ~12 hours later, and had a robust fermentation. I will leave it in primary for at least 2 weeks. This entry was posted in pumpkin ale and tagged PA2015. Bookmark the permalink.